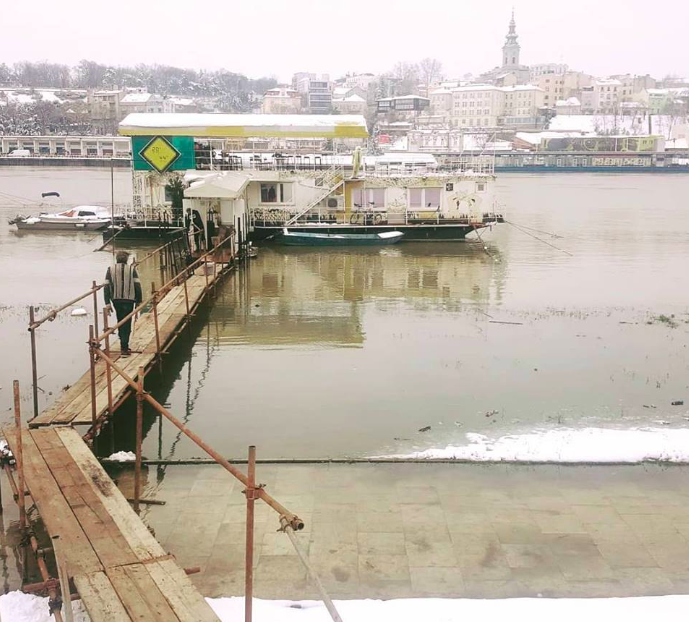 Nightclubs on the river offer a unique Serbian vibe. Photo by Kućica. 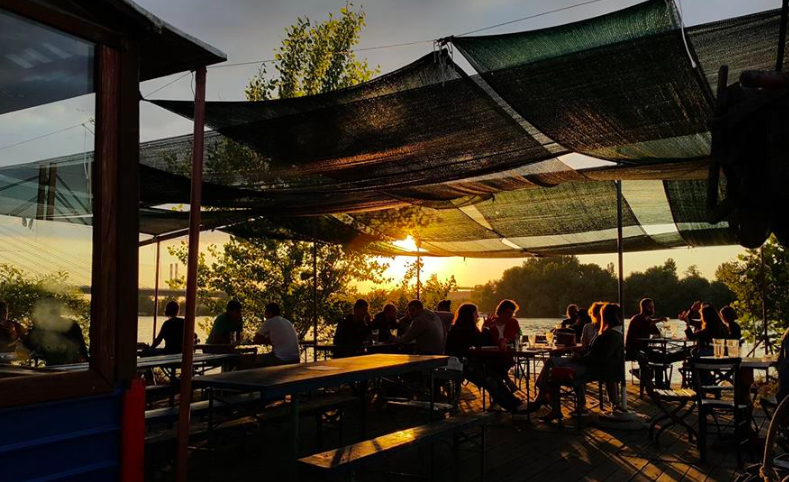 Belgrade, Serbia has emerged as an unexpected nightlife hotspot, boasting an authentic grittiness and “anything goes” attitude that have earned comparisons to Berlin. It’s a far cry from the nearby picturesque capital cities of Budapest and Vienna, instead offering a motley smattering of socialist housing blocks, communist era buildings, an ancient Roman fortress, and pockets of classic Western European architecture. But this eclectic appearance adds to its charm and serves as a visual representation of the country’s turbulent history—which is what largely gave way to Belgrade’s blooming nightlife culture. 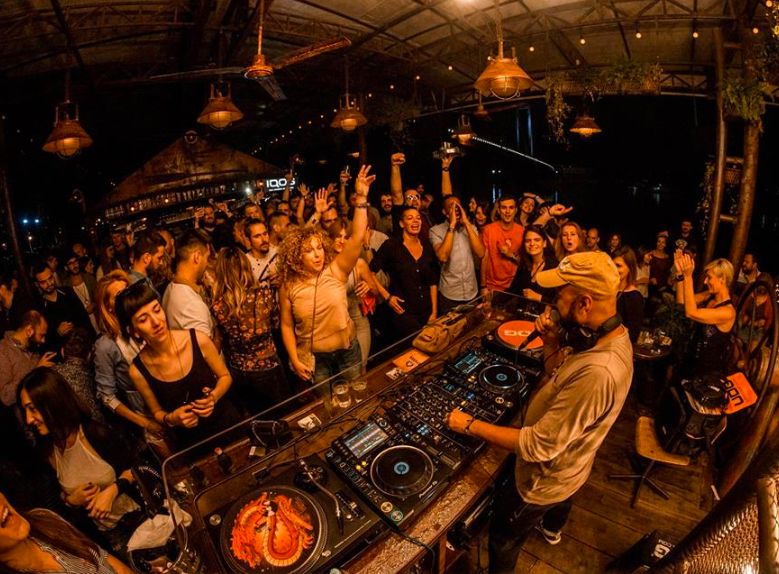 As a means of escaping the harsh reality of war in the 90’s, locals turned to music and dance floors as sources of refuge and thus, Belgrade’s transportive party scene was born. While the city’s traditional clubs will feed your party vices just fine, you can ditch them for venues that are a bit more buoyant in order to experience something radically unique to Serbia’s capital. Splavovi (or splavs) are floating lounges that rest along the banks of the Danube and Savia rivers. During the daytime, they serve as chilled-out spots to catch some sun and have a few drinks—once nighttime hits, they morph into disco ball-studded dance floors, playing music of all types. Hip-hop, techno, house, top 40’s—good for socializing, dancing, or a bit of both. No matter what kind of experience you’re seeking, there’s a splav for it. Just know that most splavs don’t really get going until midnight. Below are six of our favorites. Before the party starts at HotMess. Photo by @hotmess.beograd. A favorite daytime hang for locals and tourists alike, HotMess is a standout splav for its sleek, modern decor and the swimming pool housed at its center. Take a dip, grab a drink at the bar, and relax in the booths and bean bags that dot the raft. Once the sun goes down, hang around if you like techno and house. HotMess turns into a laid-back club-like atmosphere with colorful lights illuminating the splav’s pool and palm trees, and top-notch DJs taking over the decks. Cold temperatures won't hinder an outdoor Serbian dance party. Photo via Klub 20/44. Identifiable by its black, yellow and teal color scheme and the graphic artwork painted on its sides, 20/44 is the place to go if you want to dance until sunrise among a no holds barred crowd that’s there for the music. 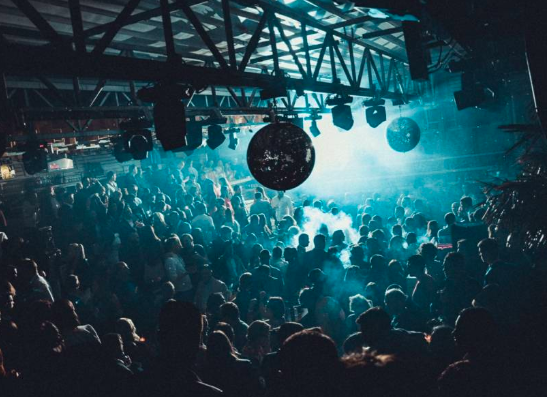 Boasting two stages, an excellent sound system and a constant stream of Detroit techno, funk, house, and more, it embodies the true spirit of underground Belgrade. Red lights, smoke, and strong drinks add to the perfectly run-down raft’s allure. It’s a must. During the daytime Shake’n’Shake looks kind of like an upscale bohemian paradise. Lanterns, plants, and swings hang from the ceiling, colorful chairs dot its vast wooden deck, and its breezy, open air layout exudes a feeling of luxe relaxation. 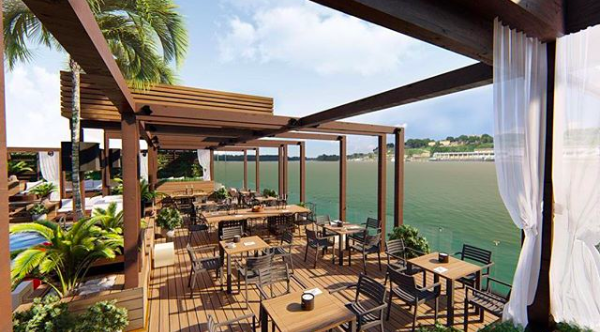 Grab a drink at the covered bar that sits at the splavs' center or hang out along its edges with friends in the sun. It’s a great spot to spend a lazy Sunday. At night, Shake’n’Shake plays an array of house, R&B, local music, rock, ‘90s hits and more, but its vibe is more lively bar than dance-y club. All night long. Photo by Lasta Splav. Lasta is another splav to hit up after dark, especially if you’re looking for glam electronic club similar to those in Miami. White tables, bars, and couches give it a modern and minimalistic feel, while glittering disco balls and a barrage of techno and house beats bring the party. Lasta is a great place to dance but you’ll do so at the table you reserve or join—this splav doesn’t have a big open floor. Brodić is perfect if you need a little rest stop. Photo by Brodić na Savi. Not into bright lights and bumping music? Brodic is the epitome of a dreamy chill spot. It’s void of flashy decor, instead notable for its mismatched tables and chairs, low key vibe and, uniquely, food. As described by a local, it’s a good spot for late night philosophical talks with good beer and even better pizza. A rustic interior meets electronic beats. Photo by Kućica. 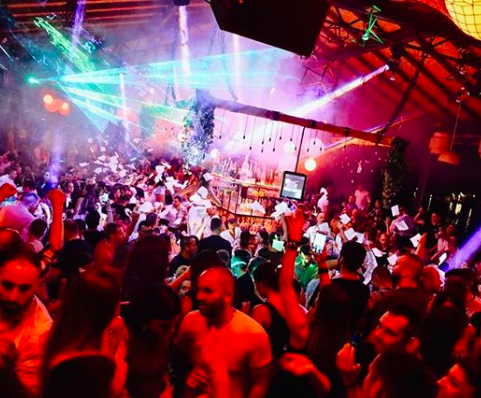 A great spot to enjoy good music while socializing with a trendy crowd, Kućica is perfect for daytime hangs and late nights out alike. It’s got a cool industrial-meets-forest aesthetic—“kućica” literally translates to cabin‚ with plants and steel lighting fixtures hanging from the ceiling and a small wooden roof topping the bar at the splav’s center. 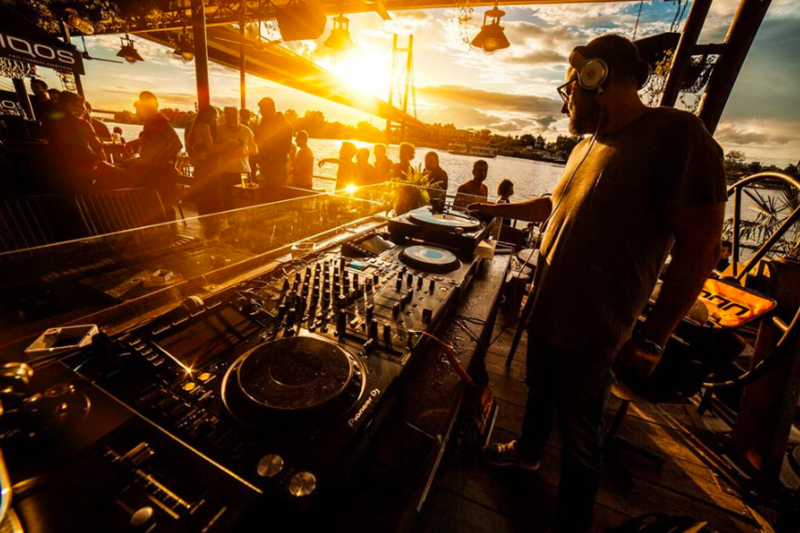 Electronic music is the sonic soul of this splav, which regularly brings in top notch DJs to play from sunset to sunrise. Come for the unpretentious atmosphere and good drinks.